Blogger and WordPress are the two blogging platform which are very much popular these days. As you all know, WordPress is considered powerful due to the availability of Various Plugins. Blogger doesn't support plugins but the developers are continuously adding new features to it. This week, i am providing you a Search Engine Optimization Tutorials for optimizing your blogger blog. This is the third post of our “Blogger Advanced SEO Pack for Beginners and Advanced Users” series. 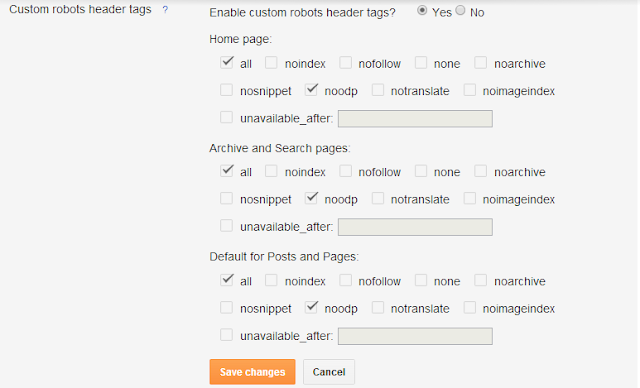 Today, i will show you, How you can use the Custom Robot Header Tags for optimizing a blogger blog. It is an advanced tool so new bloggers always avoid its use. It can really boost your ranking and definitely traffic so I am providing you the complete setup tutorial. All : There are no restrictions for indexing or serving. This is default for all pages. Note: this directive is the default value and has no effect if explicitly listed. Noindex : Noindex mean not to crawl and index any page of a website or blogger. And it will not show any page in the SERP and do not show a “Cached” link in search results. 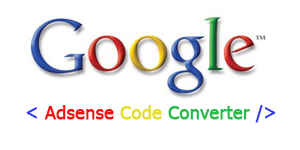 Nofollow : It will command Google crawlers not to follow any link on the page. None : It is equivalent to noindex, nofollow. Noarchive : It will not show any “Cached” link in search results. Nosnippet : It will Google crawlers not to show a snippet in the search results for this page. Noodp : Do not use metadata from the Open Directory project (DMOZ) for titles or snippets shown for this page. Notranslate : It will advise crawlers not to offer translation of this page in other languages in search results. Noimageindex : Do not index images of this page. Unavailable_after : [RFC-850 date/time] : Do not show this page in search results after the specified date/time. The date/time must be specified in the RFC 850 format. First enable this option from your blogger settings and then go left option for settings. 3. 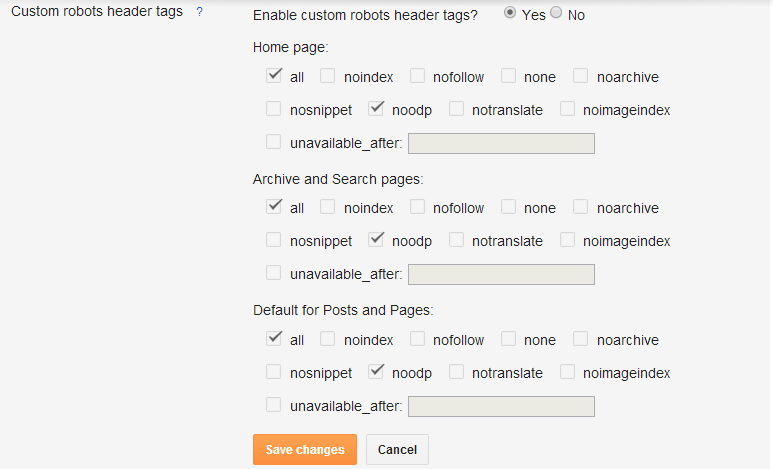 Click on edit link under the Custom Robots Header Tags section as shown in below screenshot. 4. Once you click on the edit link you will see many options. Simply tick on the options which shown in the below image. 5. Now click on ''Save Changes'' button. Really good info about BlogSpot. I went through your blog and I have completed this section as explained. Such a good and informative things you had shared for us.